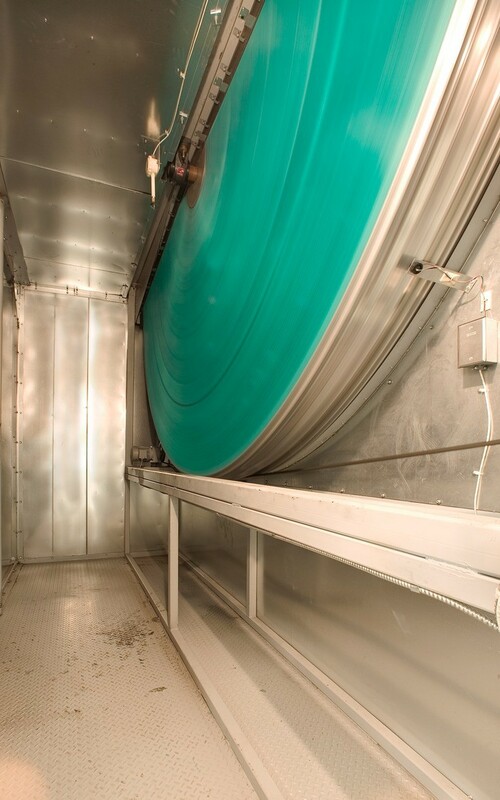 This collocation Laboratory for the Minnesota Departments of Agriculture and Health puts Minnesota at the forefront of public health and food safety. 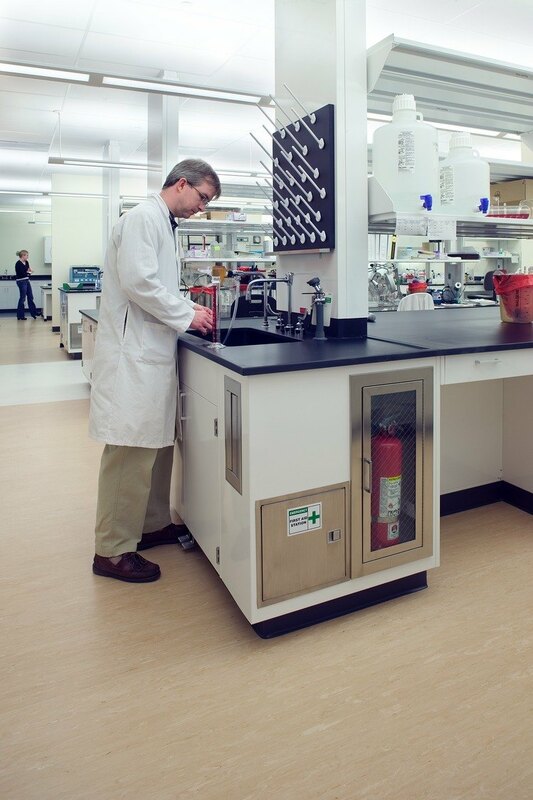 The 176,000-SF Laboratory building brings together scientists, researchers and administration in a work environment that stimulates opportunities for shared research, information, and operational efficiencies. 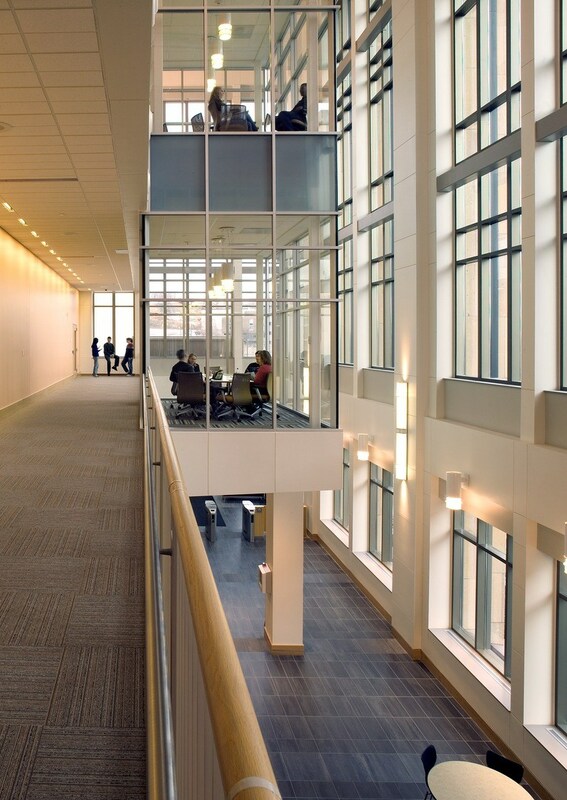 Connected to the adjacent Orville L. Freeman office building via a skyway and plaza, the Laboratory functions on three levels with office support and meeting rooms organized around a central lab core to encourage interaction. An urban plaza and skyway links the office building to the laboratory building, reinforcing their connection between public collaborators and civic neighbors. 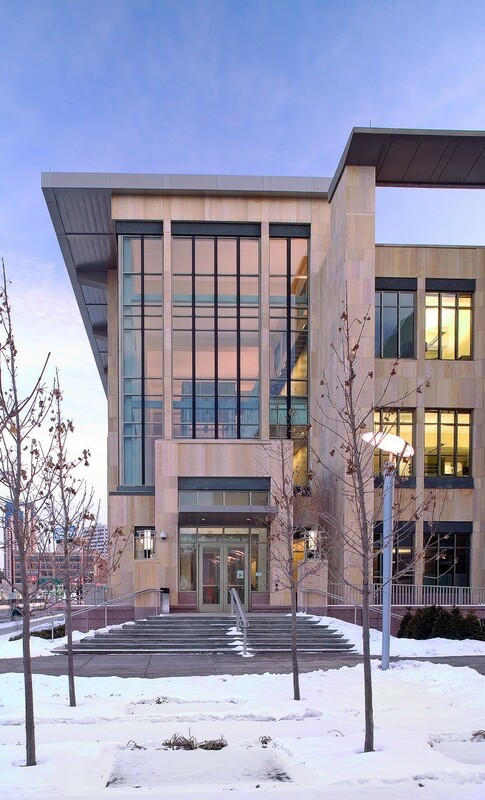 This laboratory is a showcase 21st-century research center, as well as a pilot project of Minnesota Sustainable Building Guidelines (MSBG). The lighting creates a cutting-edge laboratory image, meeting the sustainable design requirements while providing quality lighting for demanding laboratory tasks. The three-story lobby sets a precise laboratory image and distinctive character with indirect lighting and custom light fixtures. 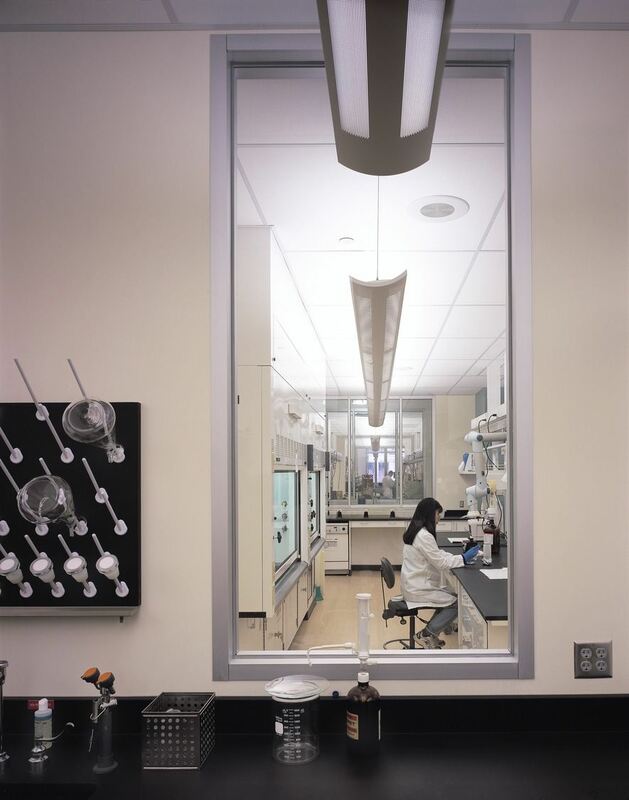 In the laboratory, indirect light fixtures provide quality lighting for both screen and bench tasks. Lighting achieves 1.3W per-square-foot power density and exceeds the requirements of MSBG. HGA’s Telecommunications Design Services Group teamed with the IT teams from the Agriculture and Health departments to design an advanced telecommunications and information technology environment that spans the office and lab facilities and supports the State’s objective of stimulating opportunities for shared information, knowledge and facilities. 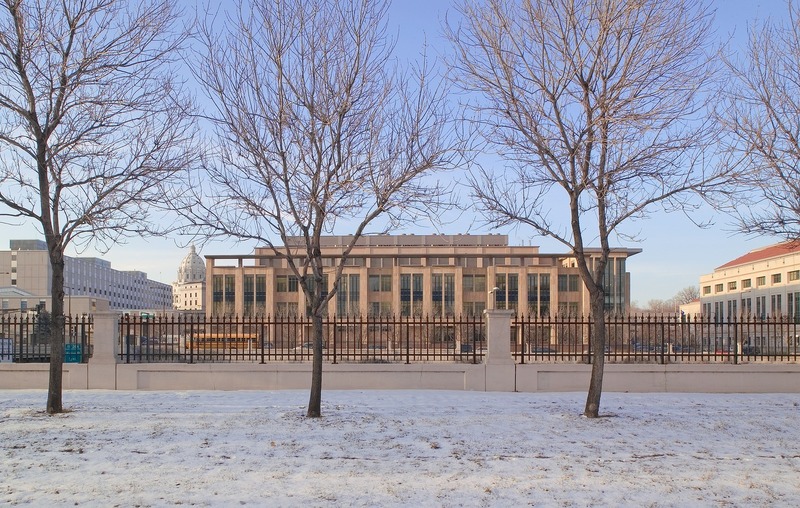 The 178,000 GSF laboratory building feature a unified telecom infrastructure that incorporates an integrated cabling and wireless local area network. HGA collaborated with the Agriculture and Health teams to create design drawings, write specifications, evaluate bids and make the vendor selections for cabling, network hardware and IP Telephony solutions.